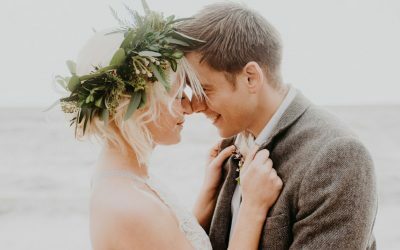 You’ve picked your bridesmaids, they’ve helped you on your way and been part of an epic hen party (or bachelorette party for our American friends!) and now they are getting ready to stand by your side on one of the biggest and best days of your life. 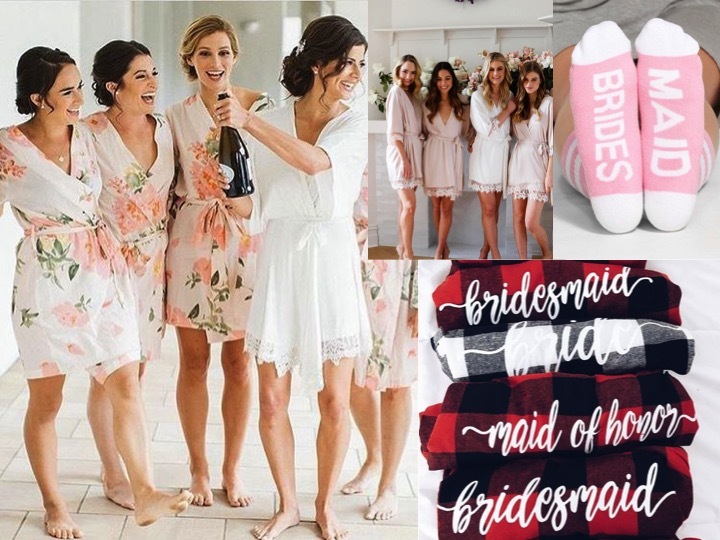 Your bridesmaids are such a special part of your day, the lead up to it and the rest of your life afterwards, and spending your morning with them is the best way to start your day! 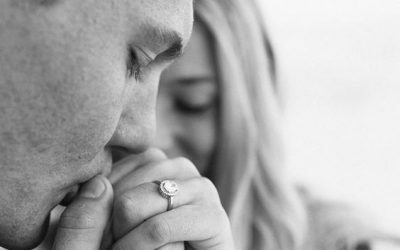 Sometimes it’s hard to know how to honour them, or say thank you, to let them know how special they are to you so I’ve put together some different ideas, of all different costs and sizes, to help you out with what to get. And if you’re wondering whether or not to get them something, I would say absolutely do. They mean the most to you and it’s important to let them know that, to let them know you love them and for them to have a little something to remember the day by! My favourite may or may not be in number 3… if you’re forcing me to choose one! And stay tuned for some groomsmen gift ideas. 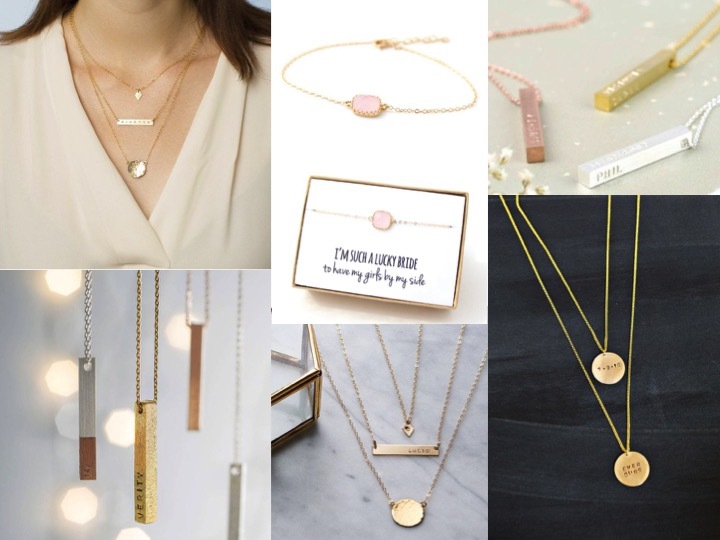 A necklace, bracelet or earrings can be a reminder for your bridesmaids, whilst being something they can practically wear every day! You can have them personalised and you can also get them something that they can all wear on the day to make it that bit more significant! Whether it’s a bath bomb, a personalised glass, a handkerchief with a sweet (or not!) message stitched on, beautiful jewellery dish, a hip flask or my favourite – a blanket with a special message on the label (blankets will always win with me but this is such a sweet and unobtrusive way to personalise them), any of these are lovely, and useful gifts and can be fairly inexpensive! Not only do they make for pretty pictures but having robes, pjs, socks or tshirts etc. make getting ready more fun, memorable and get everyone in to the mood for the day! 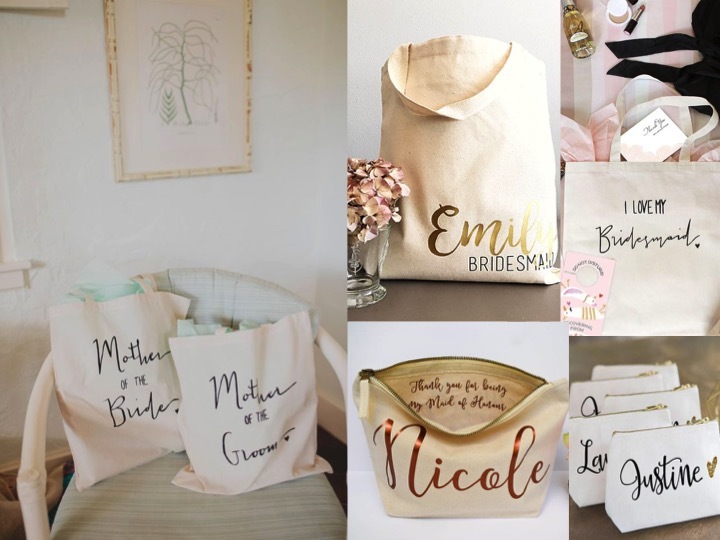 Your bridesmaids can wear them again and again and always think of you. 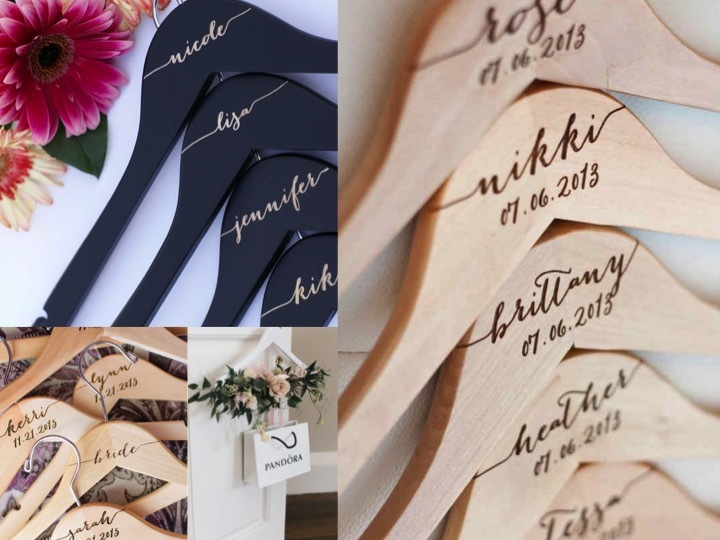 For a special touch – hang your bridesmaids’ dresses on personalised hangers which they can then use to hang their bridesmaid dress, or any other dress on when they get home. They look amazing, are super useful and can be very cheap, which is always good! 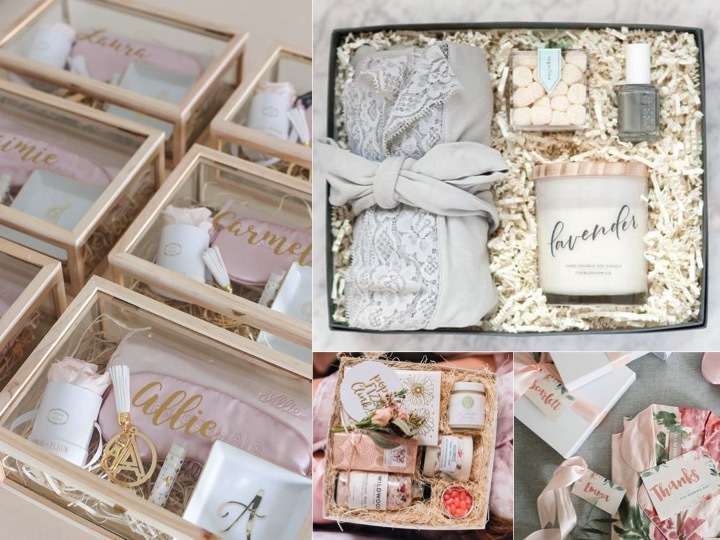 Or you can make a box full of goodies for the wedding day and when they get home (and include any of the above gifts in it if they take your fancy!). Having something like this will make your girls feel so special and loved on the day. Hopefully this has given you some inspiration on what to get those beautiful girls of yours and if you have any questions – just ask! 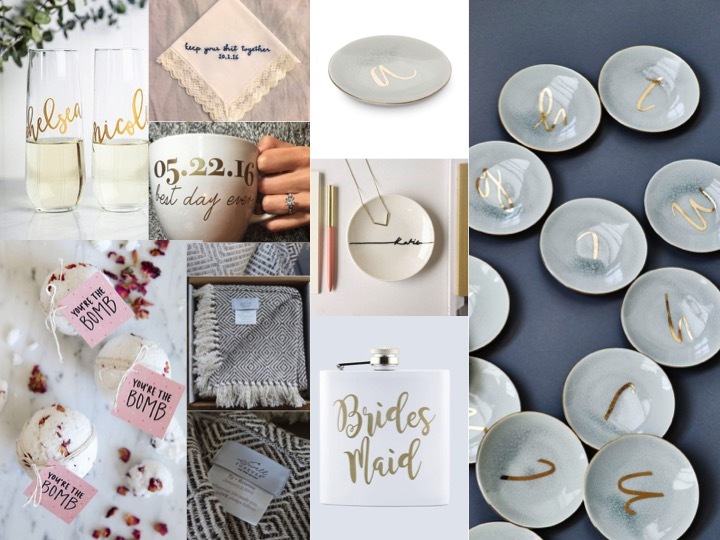 I’m happy to recommend some gift suppliers I use.